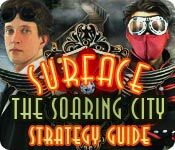 Surface: The Soaring City Strategy Guide is rated 4.5 out of 5 by 2. Rated 5 out of 5 by hislamb2 from Soaring Game!! 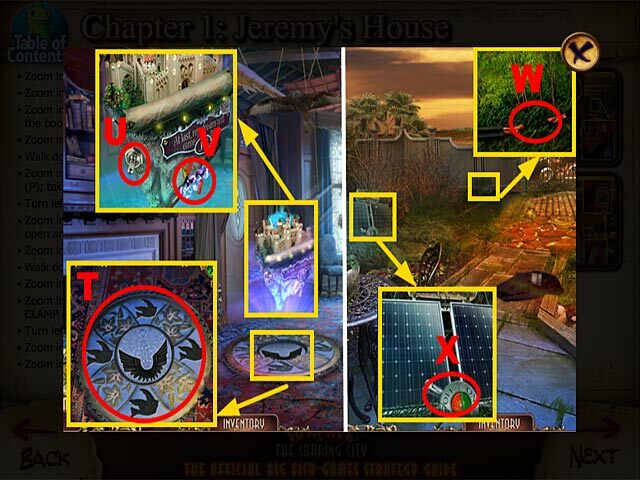 I loved this game... was alot of different ways to find HO and there were couple times I did have to find the free walkthru... but long game... and you were't sure how was really going to end!!! Good job game makers!!! A 70 yr old great-grandma. 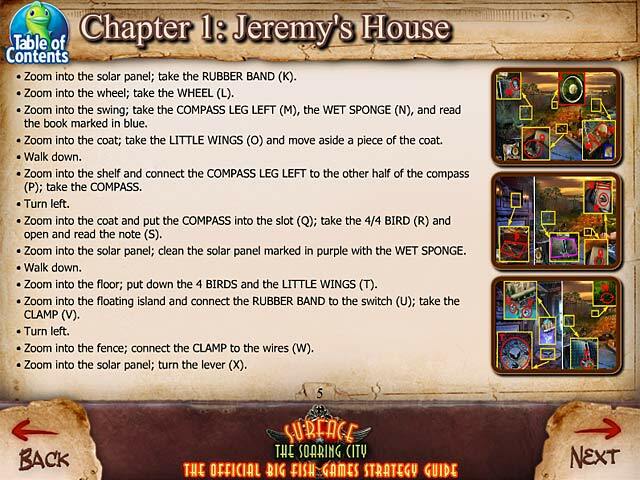 Rated 4 out of 5 by abateau from Fun adventure game! This game had just the right amount of challenge. 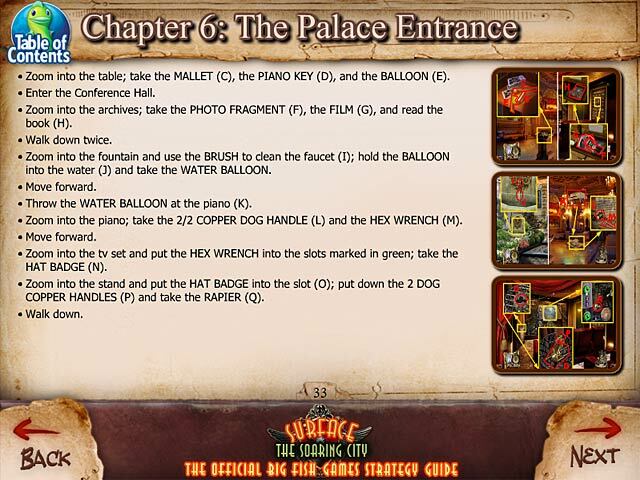 If you require a hint, the hints are user friendly and a strategy guide is unnecessary. The graphics are great and I had a lot of fun passing the afternoon playing this. I highly recommend this to all.